These are original US Government Issue "Y" Harnesses. These harnesses are in good used surplus condition. Some may have names, or other hand written marks on them. These are adjustable in the front as well as the back. 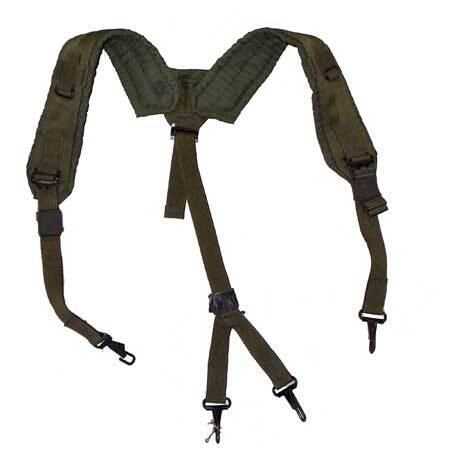 At the end of each strap there is a loop to attach to the US pistol belt eyelets. These are being sold individually, for wholesale pricing please see our wholesale category.